This week, Week 12, we’re focusing on saying sorry. To kick us off a post from Sara sharing her thoughts and experience. Saying sorry. A fairly straightforward concept with a handy NHS guide for those who might struggle. We’d planned a week on this topic as it’s fundamental to helping families deal with the unexpected and preventable death/serious harm of a family member. A swift, heartful and genuine apology probably is the most valuable tool the NHS has, in terms of heading off lengthy, painful and ultimately costly battles with families. Sadly, this doesn’t seem to be widely recognised. This issue is particularly timely as the template response circulated by some Conservative MPs to constituents’ requests for support for the #LBBill includes a paragraph about Sloven and their unreserved apology for LB’s death. This is lifted from the statement by Katrina Percy, CEO of Sloven, on the day the independent review by Verita was published back in February 2014. This apology was made seven months after LB died. Up to this point, I [not our family] received a ‘I was deeply saddened and sorry to hear of the death of your son, Connor’ from the Acting Chief Exec on July 11th 2013. An exemplar non apology. Her sadness comes first, followed by ‘sorry to hear’ and then a second line with ‘sincere condolences’ scattered like confetti. These words are words anyone can say to someone who has experienced bereavement. Not the words you say to someone who has died in your care. Katrina Percy, the actual CEO, popped up in December 2013 ‘offering my personal and sincere condolences on the death of your son, Connor‘. Again, a non-apology. Offering condolences is not saying sorry. We had to wait until there was evidence that LB shouldn’t have died before something approaching an apology was made, three months later. Sadly, despite this public statement, and an apparent acceptance of the Verita findings, nine months later Sloven stood in front of the coroner, arguing that LB died of natural causes. Maybe the NHS Being Open policy needs a footnote added to remind CEOs to remain consistent to their apologies. Like every single organisation and individual in the world, we are not perfect and on a rare number of occasions we get things wrong, sometimes with deeply distressing consequences. On these rare occasions, my role as Leader is to do everything in mine and my organisation’s powerto offer our deep and sincere apologies, to work with everyone concerned – including relatives and regulators – in as positive and productive a way as possible to learn from what went wrong and to put in place arrangements to try to ensure nothing similar happens in future. In this regard, I believe it was absolutely right for us to offer our profound and public apologies to you for the death in our care of your son, Connor. Profound, sincere and deep are just words. Meaning remains absent, sadly. And without meaning you really ain’t sorry. So this week we will be thinking about saying sorry and apologies. Please share any experiences in the comments section or drop us an email. As we say with tedious regularity, this really ain’t rocket science. As you’ll all have been aware the last two weeks, Weeks 10 and 11, have been given over to the #LBBill in the Justice Shed and in #107days. After truly sterling work by you all we’d managed to contact 338 MPs before the Private Members’ Bill ballot #PMBBallot was drawn. The ballot saw 462 MPs names into the hat, and twenty drawn out. There was much excitement amongst JusticeforLB’ers as the first eight MPs drawn had all been contacted about the #LBBill, not bad for a campaign run entirely on love and creativity with absolutely zero resources. However the slots are drawn in reverse order and our luck turned a little, so the excitement was short lived. In the end twelve out of the twenty names had been contacted to request their support for the #LBBill before the ballot, including three MPs in the top seven. So we still have hope. What we now need is for JusticeforLB’ers to contact their friends, families, colleagues and long-lost lovers who live in the constituencies represented by the MPs with the top slots (listed above). MPs are expected to represent the priorities of their constituents, so we need to make sure constituents in these areas raise their concerns and request support for the #LBBill. We shared a post yesterday that you can read here with some suggestions of what you could do if your MP won a golden ticket in the ballot, please share with friends and relatives in the areas above. If you have media contacts in those areas who would like to run a story on the #LBBill and its relevance to local disabled people then please out them in touch with us too on email. We would encourage supporters to try and raise support in those areas rather than contact the MPs direct (unless they are your own MP). This is only likely to irritate MPs if you are not their constituents. If you live in one of the constituencies above, please do contact your MP and try to encourage them to support the #LBBill. There is stacks of information on this website and the dedicated LBBill blog here and the full draft, and all the iterations it has been through is also there. This blog post, on the eve of the Private Members’ Bill ballot #PMBBallot makes some suggestions of what to do if your MP wins the golden ticket in tomorrow’s ballot (and some of them might be useful even if they don’t). 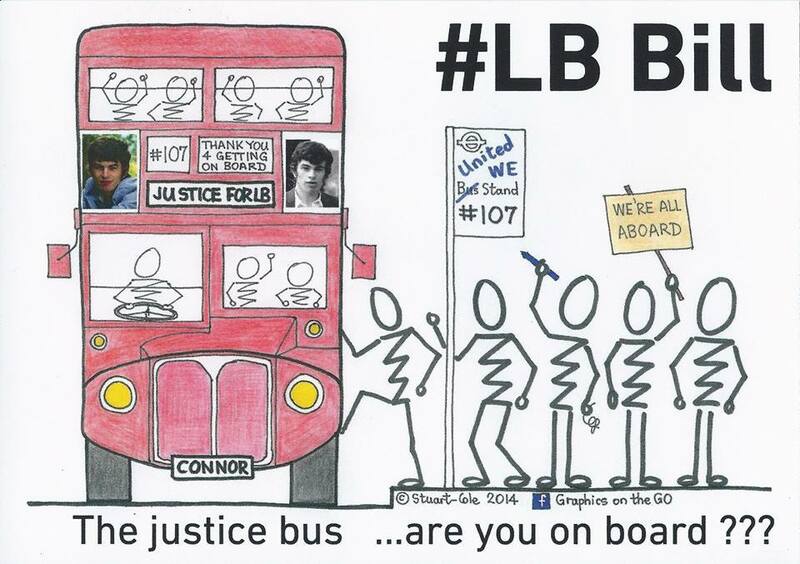 Thanks to the unstinting efforts of #JusticeforLB’ers across the country, at the time of writing over half of all MPs (333 out of 650) have been contacted about #LBBill. This is a huge achievement in just over a week, and reflects the entirely crowdsourced nature of the Bill so far. Our campaigning is far from over though and we need to redouble our efforts at 9am tomorrow, when the ballot for this year’s Private Members’ Bills takes place. The House of Commons twitter account has been highlighting the role of PMBs and using the #PMBBallot all week, so we’re hopeful that they may live tweet it and if you’re online you can watch it on Parliament TV here! Shortly after 9am we will know the names of the MPs who will have the chance to present a Bill of their choice to Parliament. As explained in a previous blog on the LBBill site we need one of the top six or seven MPs to take #LBBill for it to have a real chance of becoming law. Therefore we’re asking all of you to check Facebook or Twitter as soon as you can after the ballot tomorrow morning to see if your MP has drawn one of the ‘golden tickets’, that is to see if they came high up in the Private Members Bill ballot. 1) Tweet your MP. While this only takes a few seconds our experience so far is that not all MPs engage with their Twitter accounts (indeed some still aren’t on Twitter). So please do this, but don’t just do this! 140 characters is limiting but please try to get across why #LBBill matters. 2) Email your MP. We won’t win any prizes for originality with this suggestion but emails will go straight to the MP’s staff and experience is showing supporters are getting better engagement from emails than tweets. Explain to your MP why #LBBill matters to you. 3) Phone your MP. You can ring the House of Commons switchboard on 020 7219 3000 and ask to be put through to the office of your MP. Be sure to say you are their constituent, you are calling because you know they have been drawn high up in the Private Members Bill ballot and that you would like them to sponsor #LBBill. Explain why the Bill matters from your perspective. If you can’t reach your MP ask for their researcher. 4) Send your MP a letter. Despite being a little bit obsessed with the power of social media to engage with politics, we also love getting post and think your MP may too. Why not dig out your finest writing paper, or dig in to your stash of LBBus postcards and write to your MP. Be sure to do it quick so it reaches your MP before they decide on who to support. If you have children or artists you’re keen to engage, why not send your MP an LB Bus picture too and explain the significance. 5) Go to your MP’s next surgery. All MPs hold surgeries where their constituents can go and discuss local issues with them face to face. Check your MPs website, look in the local press and find out when their next surgery is to be held. Maybe try to get a group of people together to go and see them. If you are going as a group you might want to contact your MP’s constituency office (as opposed to their office in Parliament) and let them know in advance. 6) Go to see your MP in Parliament. If you contact your MP by email or by phone (see 2 and 3 above) you could ask for an appointment to go and see them in Parliament – and perhaps take friends / a local group with you. If you meet in Westminster you may also be able to get a tour round Parliament! 7) Invite your MP to come and meet you. You might like to invite your MP to come and meet you and your family at home, or to come and speak to a local group your involved in. MPs generally want to engage in their local community and it will help convince them of the need for action if they get an insight into people’s real lives. 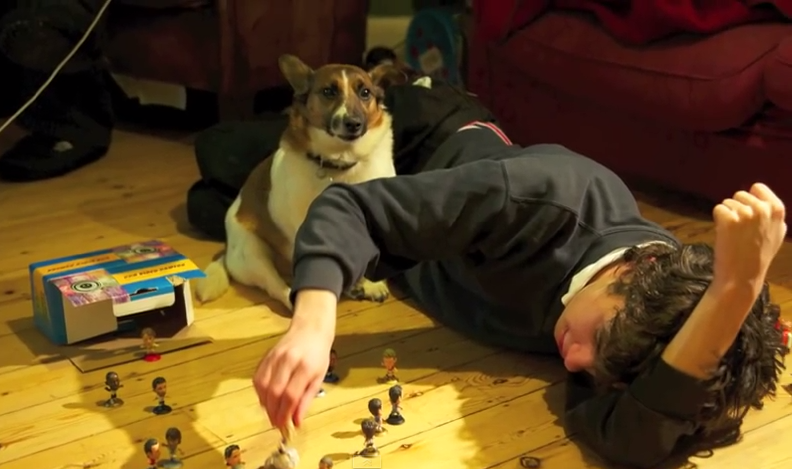 8) Hold a #JusticeforLB pop-up picnic or party and invite your MP along. The idea for pop-up parties was first shared back in April (see Action 3 in this post) and we’re keen to ensure everyone, regardless of any disability they may have, gets the chance to attend. This is a great chance for a number of people to get together, have fun and meet your MP in an informal setting. Even if your MP is not a lucky golden ticket holder, their support for the Bill could be key. The more MPs that are aware of the challenges facing disabled people, the origins of the Bill and how it could improve disabled peoples live, the better. The one key element of any action at this stage, is speed. MPs will be starting to commit to particular causes in the hours and days after the ballot. So please do contact your MP as soon as possible, even if just by a quick tweet, email, letter or call. You can always follow up with something more creative. 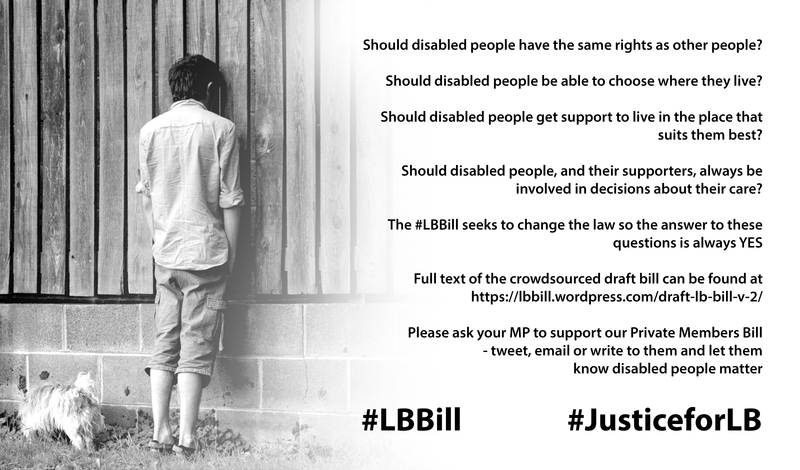 If your MP has any questions, they can send us an email to LBBillFeedback@gmail.com or tweet us @JusticeforLB and we will arrange for someone from the LBBill Team to call them. Don’t forget if your MP isn’t chosen at the top of the ballot (a highly likely event) that you can still email or tweet them asking them to contact their colleagues who have been successful in the ballot and support the Bill. Peer pressure is very important! Finally, there will be thirteen MPs who are picked at 8-20 in the ballot who will get the chance to sponsor a Bill but without any realistic prospect of it having enough Parliamentary time to become law! If we cannot persuade any of the top seven MPs to sponsor the Bill we would be delighted for it to be picked up by any of these MPs as a chance to keep the pressure up. So if your MP is picked in a lower slot please still contact them. Thanks for your support so far, and for all the work that will follow Thursday’s ballot. Some of you potentially hold the keys to the next stage of making the #LBBill law and are about to have a very important role to play in the campaign! As ever, we could not do this without you, so thank you. We know that the map gives a good overview, but that it’s hard for some of you to see whether your MP has been contacted. That’s ok because we’d like all MPs to be contacted as many times as possible, we think it’s important that MPs know their constituents are interested and keen to see the provision in the #LBBill enacted, so don’t worry about duplication, that’s a good thing. We know now that 285 MPs (out of a total of 650) have been contacted about the #LBBill. It is only a week ago that we asked for your help, and what a response in a week. Of the 285 MPs who JusticeforLB’ers have contacted, 137 are Conservatives, 1 Green, 113 are Labour MPs, 4 Liberal Democrats, 4 Plaid Cymru, 25 are SNP and 1 is UKIP. Not only have 285 MPs been contacted, but 84 of them have been contacted at least twice, 24 MPs three times, 8 MPs four times, 3 MPs (Caroline Lucas, Diane Abbott and Cat Smith) have been contacted at least five times and Paul Blomfield, MP for Sheffield Central has been contacted at least six times. We say at least because we’re aware that despite our best attempts we may have missed some contacts, or not know about them. That’s ok too because once we know who has a spot in the Private Members Bill ballot we’ll ask anyone who has contacted them (or lives in their constituency) to let us know. Although I had heard of Connor Sparrowhawk and his death through news reports, I hadn’t been aware of last year’s #107days campaign. It was a conversation with Claire Jones (a contributor to the Justice Quilt) during a break in our work with the Barker Commission that brought the Justice for LB campaign and the LBBill to my attention. I joined the Facebook page set up by Mark Neary to discuss the LBBill shortly afterwards. Now, like Connor, I am on the autistic spectrum but that in itself doesn’t entail motivation or importance to this campaign. It allows some perspective and insight but the essential drivers to support this campaign are a visceral sense of injustice and a desire to see change occur that allows everyone to have the support that enables control over their lives which most take for granted. Yet there is a personal element to my support and it revolves around the idea of time. I was diagnosed as being on the spectrum in my late 30s a few years ago. Thinking back, I can see where my autistic traits interplayed through my life such as my intolerance of adult authority figures if I thought them idiotic and would express that opinion. These days, I suspect that 7 year old would be diagnosed with ‘oppositional defiant disorder’ and my parents offered drug management of said condition. In the 1970s, I was just considered to be a badly behaved awkward git. While today’s world is different, I’m not entirely sure that it has progressed in an entirely beneficial manner. That seems to be particularly true when dealing with teenagers who happen to be autistic and/or have learning difficulties. My teenage years were difficult for me and my family and there were periods where none of us coped with my depression and behaviour. The difference made to my family and I was the community support from the local Child and Adolescent Mental Health Service. 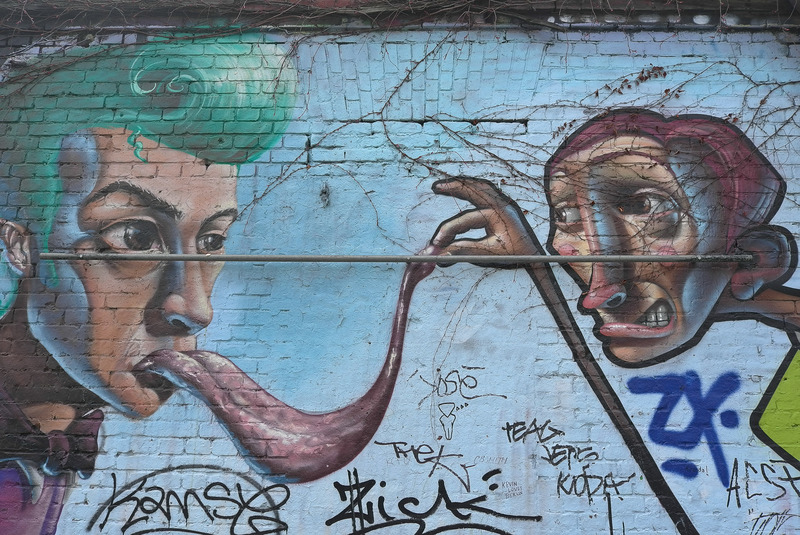 It was appropriate and gave me the space to work through the complexities within my head. Reflecting now on what occurred some 25 years ago, the definition of adolescent seems broader than today. The past wasn’t obsessed with the notion of “transition” that exist today and having rigid barriers between child and adult services. There was less money around as well which may seem a bad thing but given the growth in ATUs which have coincided with the pump-priming that occurred in the NHS from the turn of the century, more money appears to have facilitated more interventions with worse outcomes. There also seems to be more labelling of conditions which is a concern when issues such as mental health problems are seen as a result of having autism for example. That may be true for some but equally we shouldn’t lose sight of someone with autism who just happens to have a mental health problem. Their autism will affect the state of their mental health but we shouldn’t assume it drives their mental health issues as the individual gets consumed within the condition. This is why clause 8 of the #LBBill is so important. This is why I feel fortunate. Back during that dark period, I didn’t have a label of a condition. I was just a young man who was depressed, alienated and inarticulate. Importantly I was given the time and space to find myself. A process that has continued to this day. The point about autism is that its a development disorder but it doesn’t mean the absence of development, merely its a different process. Sometimes that is close to normal development or it can be very different in expression or timescales. It is always very human. That perhaps is the hardest part of this #107days campaign. That Connor didn’t get the time and space he deserved and that absence of time is marked by this finite period. That feels very cruel. So the #LBBill is important to me because all the dudes deserve the support, time and space to live their lives however and whatever that looks like. The support I’ve had, the time and space to explore and experience the world shouldn’t be a gift to be bestowed but simply a human right of expression. There is some distance to go but if the #LBBill became an Act then it would be an important step towards achieving that. Today’s guest blog post is from Steve Broach, a key protagonist in the #LBBill. Here he reflects on why we need the Bill. 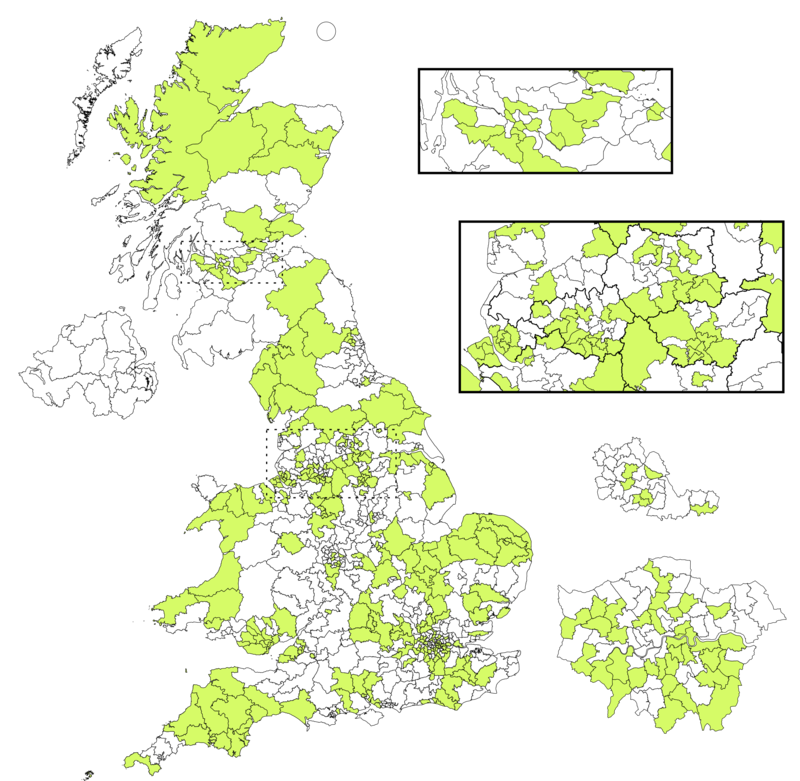 It is such a thrill to see the map of the UK turning green as Justice for LB supporters contact their MPs to ask them to support #LBBill, the proposed new law to reinforce disabled people’s right to live in the community with choices equal to others. Getting the Bill to this stage has involved the collective wisdom of a huge number of passionate and committed people. We have had input on the content of the Bill from disabled people’s organisations, individual disabled people, families, carers, friends and allies. The text of the second draft of the Bill is much improved from its first draft, with a stronger rights focus including implementation of the right to independent living in Article 19 of the UN Disability Convention. There are some ideas in the bill that can be traced back to one individual, like Mark Neary’s original idea that all placements made by the state should be subject to approval, which is reflected in Clause 5. Others have emerged from the free-flowing discussion, debate and dialogue that has characterised the process so far. We had hoped to have more time to debate Draft 2, it’s my fault we don’t, because I’d thought the ballot for private members’ bills was in July, whereas in fact it is on 4 June. This is the kind of mistake that would get a professional campaigner fired, but as we are all volunteers and no-one’s in charge I’ll probably get away with it. Apologies nonetheless. So the key action now is to get as many MPs as possible informed about and supportive of the Bill, so that when we know the outcome of the ballot we have the best chance of getting a high-ranking MP to sponsor the Bill (see the #LBBill process post for a more detailed explanation of this). One of the question supporters are likely to be asked by MPs and their staff is what difference would #LBBill make, and in particular, wasn’t this all dealt with last year in the Care Act 2014? The short answer to these questions is, a huge difference, and no. A more compelling answer to the difference question has been given by Sara Ryan in an amazing post as part of this Week 10 of #107days. So I’ll take the lawyer’s question, which is why the Care Act isn’t enough. I’ll be the first to agree that the Care Act is a step forward. The well-being duty in Section 1 has the potential to transform the approach to how social care is provided to disabled people. However, the Care Act is an act about social care, it says nothing about the NHS services that many disabled people need. It also falls far short of implementing a right to independent living. Expressly reject any idea of capping expenditure on care at home at the level of the cost of residential care (Clause 2). This is likely already to be unlawful but it is known that this practice goes on and it should be outlawed. So, none of #LBBill duplicates anything that is in the Care Act, or other existing legislation. 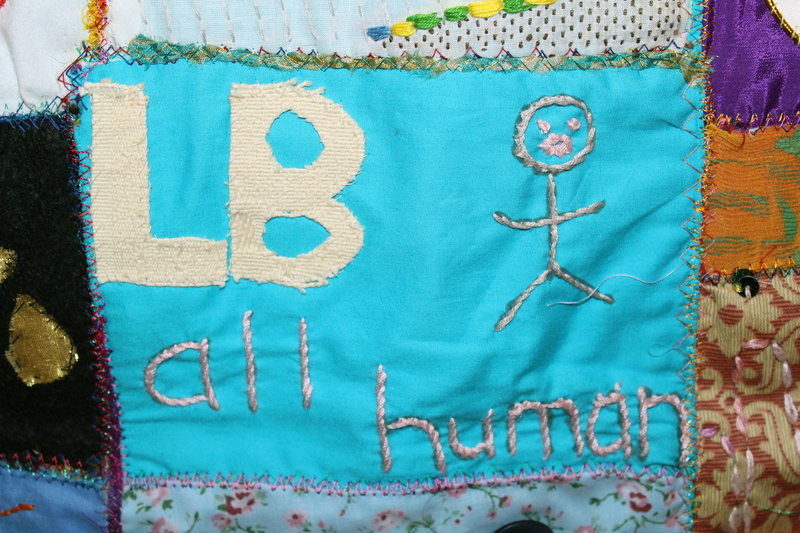 It’s all new and it’s all what the community of #JusticeforLB supporters has said is needed if the law is to properly reflect and respect disabled people’s human rights. With the government expected to announce today its intention to repeal the Human Rights Act and replace it with a British Bill of Rights, let’s get our politicians thinking about the rights disabled people and their families have said they want and need to be enshrined in law. Please keep pushing so that every MP knows about #LBBill and knows how much it matters in advance of the ballot. With thanks to Caron Stuart-Cole of Graphics on the GO for this brilliant image. Wow, what a weekend of #bankholidayactivism. Ever since the #JusticeforLB campaign evolved/emerged/was born (still not sure which of these is most true) we’ve been blown away by the responsiveness of people. This weekend proved no exception and we’re delighted to now share that slightly over 25% of all MPs in Westminster have been contacted about the #LBBill. Seriously, that’s 1 in 4 who will know about LB, who will hear about his entirely preventable death, and who hopefully will read up on the #LBBill and lend their support to it. The responses from MPs on twitter and email has been overwhelmingly positive, where they’ve had a chance to engage, and let’s be honest MPs are allowed time off too and given it was a bank holiday and the start of half term for most people, we really didn’t expect to have had pretty much any response. We’re not getting complacent though. As wonderful as it is to see that all MPs in Norfolk and Devon have heard about the #LBBill there are still whole swathes of white on our map where people don’t yet know. So this is a quick thank you, a mini celebration and a call for further action. If you are reading this, and you care about disabled people, please take action to contact your own MP and let others know about the Bill and what it proposes. You can read Sara’s post from yesterday for more on what difference the LBBill would have made to LB – short answer is he would probably still be alive today, playing with his footy guys and chatting away to Chunky Stan. We need to make sure no other family suffer the same loss that LB’s have, that no more disabled people are denied what are essentially very basic human rights. So please take action, we need to give the #LBBill every chance to be heard in Parliament.